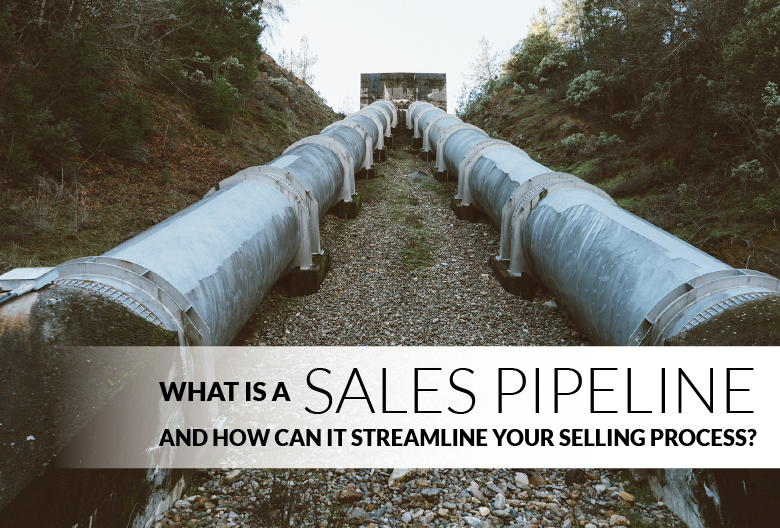 What is a Sales Pipeline and How Can It Streamline Your Selling Process? The condition of your sales pipeline says a lot about your business. It reveals how close your sales reps are to meeting their quotas, how much revenue you can expect over the next quarter, and whether you have enough new leads to sustain your level of success. But, what is a sales pipeline exactly? And how does it help businesses track leads and visualize their sales cycle? Your sales pipeline is a step-by-step overview of your sales process. It’s comprised of the various steps your sales reps take to land a new customer, including initial contact, qualifying new leads, meeting to demo the product, creating a proposal, and closing the sale. Many companies use a CRM platform to create a visual representation of their pipeline. This makes it easy to find out at a glance how far along each prospect is in the sales process, the size of each deal in the pipeline, and how many opportunities are currently ongoing. Defining Your Pipeline: How Do You Decide Which Stages to Include? Though we normally recommend between four to six stages for a sales pipeline (plus closed-won/closed-lost deals), the ideal number of stages varies from company to company. When deciding which stages to include in your pipeline, start by creating steps that align with the buying process your ideal customers follow. Match up your pipeline to your customer journey and your reps will gain a better understand the buyer’s mindset and be able to tailor their sales activities to provide value at every stage. Whether you have four stages or eight stages, each one should have clearly defined entrance and exit criteria. For example, downloading a white paper, responding to a cold email, or expressing interest in negotiating a price can indicate that the prospect is moving along the pipeline - but only if those behaviors are meaningful to your business and sync up with your pipeline stages. A well-defined pipeline keeps your sales activities organized and makes it easy to recognize how quickly your opportunities are advancing. Though specific sales processes may differ from business to business, there are five main stages that can be found in most sales pipelines. A new lead enters the sales pipeline when they are first contacted by your marketing or sales team. This often involves cold calling or cold emailing a contact in the hopes that they’ll be interested in learning more about what your business has to offer. This stage can be further broken down into marketing qualification and sales qualification. While a marketing qualified lead has shown interest in your product and is ready to speak to a sales rep, a sales qualified lead is further along in the buying process and might be ready to talk details. Every business should develop its own lead scoring system to help separate sales qualified leads (SQLs) from those who aren’t yet ready to make a purchase. One example of a simple lead scoring system is the BANT framework, which considers the lead’s budget, authority to make the buying decision, need for your product, and timeline to purchase. After qualification, one of your sales reps should contact the lead to schedule a demo. Thorough preparation and research are a few of the keys to successful product demos. This is your chance to really sell your product or service as the perfect solution, which will hopefully lead into negotiating a deal. Once the lead has expressed interest in paying for your product or service, your team needs to come up with a quote and send the prospect a final proposal. If your deals often involve a lot of a back and forth before closing, you can include negotiation here as an additional step in your pipeline. The deal is signed, both parties are satisfied with the outcome, and a new customer relationship has begun. Once the opportunity has officially transitioned into a paying client, your team’s focus should shift to keeping your customer happy and extending their lifetime value. Before you can effectively manage your pipeline, you need to know which metrics to track. These will help you stay organized, better predict sales revenue, and ensure you always know how your sales reps are performing. The more high-value deals you have in your pipeline, the fewer deals you’ll need to close to meet your quota. Keeping a close eye on average deal size gives you a better idea of how much your sales reps should be pulling in and whether your closing ratio is acceptable or unsustainable. Your sales pipeline coverage ratio is key to maintaining a functional pipeline. It measures the value of the current opportunities in your pipeline to determine if you have enough new business coming in to meet your quota and continue growing at a healthy pace. This is the average time it takes for a new lead to become a customer. Tracking pipeline length make it easy to recognize how long a deal should take to close. If you notice a bottleneck or leak in the pipeline, you’ll know which stage needs to be improved so you can shorten the sales cycle and close more deals quickly. Converting leads into customers is the only way your business can make money, so it’s vital to track what percentage of leads become paying customers. As you gather more conversion rate data over time, you’ll be able to estimate the probability of a deal to close at each stage of your pipeline and develop a weighted pipeline to forecast sales more accurately. Automating repetitive tasks and follow-up reminders to save time and increase efficiency. Clearly defining each stage of the pipeline and communicating expectations to your sales team. Capturing more prospect data so you can tailor your pitch to meet their needs. Using a CRM to visualize how far along each lead is on their customer journey. Analyzing and reflecting on your process regularly to see how your customer conversion rate can be improved. The best way to manage your sales pipeline is to use a tool like Propeller CRM, which makes it easier for you to generate leads, manage your contacts, and track deals at every stage. 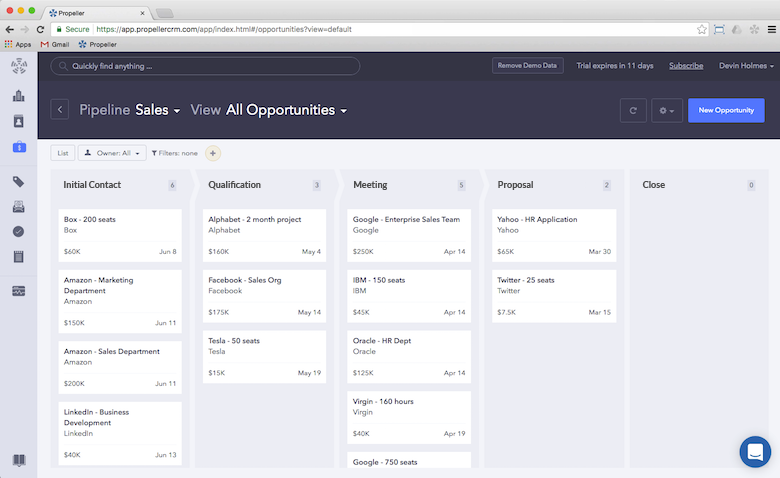 Our platform helps you visualize your sales cycle and streamline your selling process, so you can close more deals, faster. Start a free trial now to see for yourself!